Why You Need a Paper Shredder and How You Can Buy the Right One? Sometimes, there is need to dispose of old documents, bills, files and other kinds of paperwork properly especially if you want to keep your personal data secure. Vulnerability would not be reduced by simply tearing them apart. This is where paper shredders come in. They help ensure that every piece of the document is irreversibly destroyed in an effective and efficient way. As all of our personal information and financial data are saved online, even a leak of username can cause catastrophe. Therefore, it is necessary that you always have the right shredder at hand. 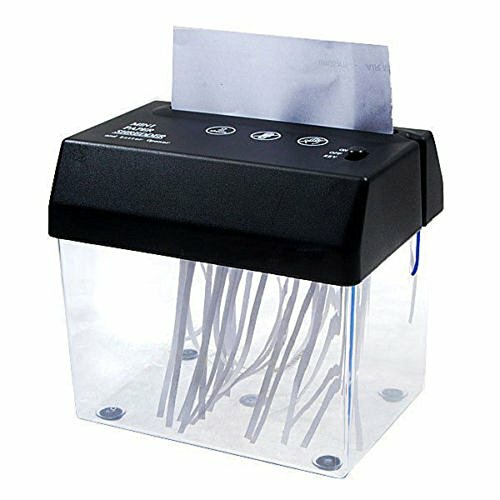 Different paper shredders possess various levels of security. You can select a paper shredder from ½ inch strips to ones that’ll shred a paper into 15,000 pieces for classified use. There are shredders that when they shred, bits of words can still be read of the shreds. However, there also exists shredders that shred these papers to micro-like particles making the shreds incomprehensible and they are mostly used by classified corporations; businesses whose security threat level is high. Government and other businesses must assess their security threat level to ascertain their shredder security level requirement. This factor is dependent on the amount of paper that would be shredded on a regular basis. If your business security threat level is high, then you might consider shredder sensitive files on a regular basis which a small shredder may not be able to do. Each sizes of shredders have their respective requirements that they cannot exceed. Therefore, It is always advisable that you go for a shredder which exceeds the minimal requirements. Always analyze the requirements carefully and put into factor the chances of an increase in requirement so you can purchase the appropriate shredder. Sheet Capacities depend on a variety of factors which includes the type of paper as well as its weight. Most businesses make use of 20lb bond letter sheets. Taking this factor into mind, always consider a higher volume shredder especially if you need to shred glossy or heavy paper. This is because a paper with heavier weight might be difficult to shred efficiently especially if the shredder is of a smaller size or lesser requirements. Before procuring a shredder, consider the type of papers you would be dealing with regularly. With all these said, you now know why you should have a shredder and how to buy one. When you consider getting a shredder soon, you can shop quality paper shredder at 123ink Canada. Next article Taking a quick look at warehouse management systems and related aspects!